Nobody wants to walk up to their car and discover a new scratch. 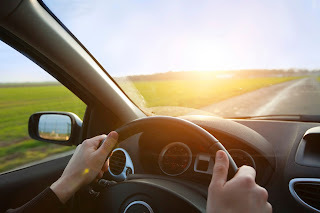 Your car’s aesthetic appeal is important, and having to sit down in the driver seat just to see various nicks and marks in the dashboard each morning is a surefire way to kick start a bad day. Occasional scratches don’t have to always be a reality, however. Americhem provides custom color masterbatches with scratch and mar prevention additives in order to keep you products safe from harm. At Americhem, we have more than 70 years of experience creating innovative masterbatch solutions, and that includes developing scratch-resistant additives for your plastic products. We work with original equipment manufacturers to provide a custom solution to suit their needs. Even if a customer uses a resin that contains some scratch and mar protection, we can engineer a solution that will work seamlessly with it, providing the best protection available. The automotive industry isn’t the only market that can take advantage of scratch and mar additives. Ultimately, you want your products to look good, and preventing scratches can keep the aesthetic appeal. We are also exploring other industries for scratch resistance, including composite decking so that your faux wood always looks good. When it comes to scratches, it’s all about prevention. Our masterbatch and additive solutions can help your products stay safe and looking good for a long time. Give us a call at 1-800-228-3476 or contact us online today to learn more about how Americhem’s custom color masterbatch technologies can keep your products safe.